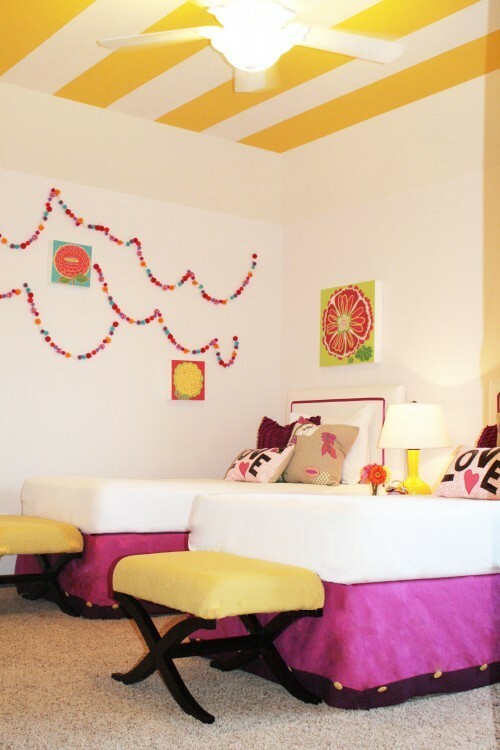 I love a good ceiling treatment and these yellow stripes are so, so cheerful and sophisticated. Perfect decor for a girl or boy and a style that leaves them room to grow. Picture one and two are the same room.